There are few things that can ruin a person’s smile more than missing teeth. While you can fix discolored or even cracked teeth by getting professional whitening or crowns, it can be far more difficult to decide what to do about missing teeth. If someone has lost several or all of their pearly whites, then they usually turn to dentures. 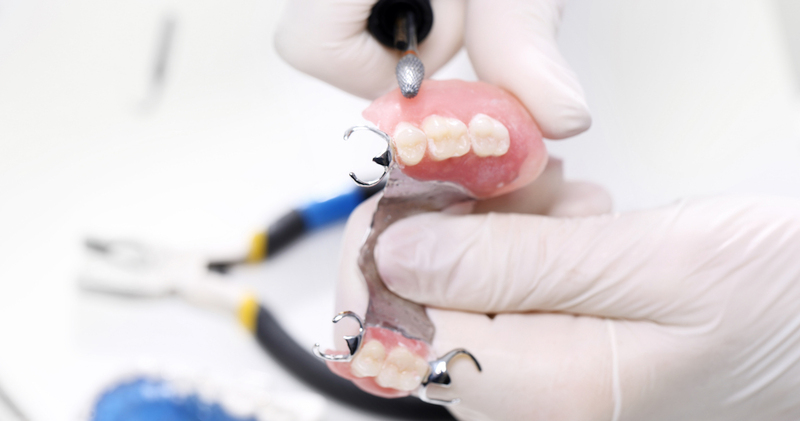 However, for those people out there who are only missing a few teeth there is another option – dental bridges. While dentures are removable and need to be taken out and cleaned nightly, bridges are a more permanent solution to missing teeth, and our Goshen dentists can craft bridges for anyone who needs them. Our Goshen dentists will use porcelain crowns to hold dental bridges in place. Porcelain reflects light similarly to natural tooth enamel, and the crown will be painted to match each patients’ natural tooth color, so no one will never even know that they are there. Non-removable bridges may be the better option for people who want to have the feel of having all their natural teeth again. Once dental bridges are placed, people simply need to brush and floss their teeth regularly to help keep them in place for years to come. Bridges often last for nearly a decade, and if need be they can be replaced. Talk to a Goshen dentist today to learn more about dental bridges.